This sweet piece comes from Kakheti in Georgia. Wool and soft cotton. Rose, burgundy, indigo, brown, apricot and light green. The cotton areas bring lightness, contrast and smoothness to the piece. 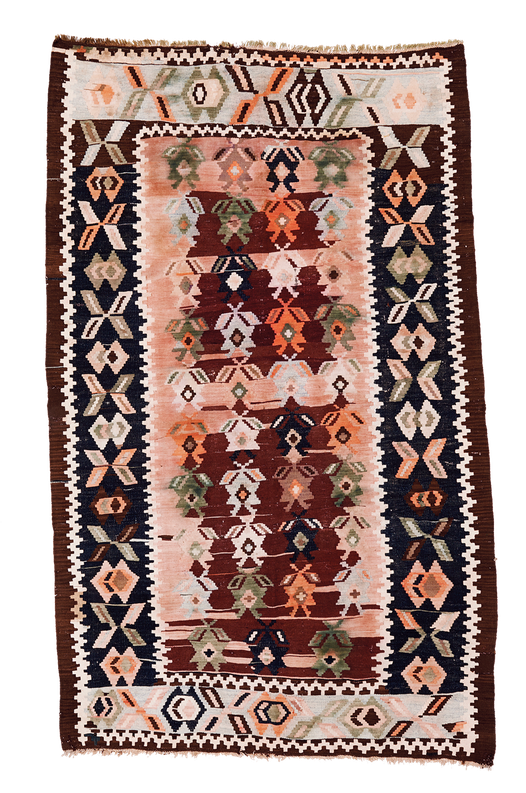 The fading and blending of the green tones give this kilim a very distinct character. See this kilim in situation here.